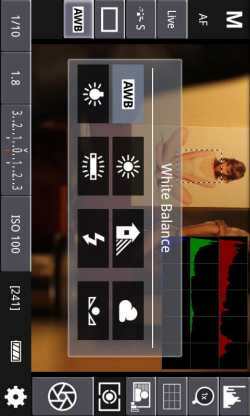 If you own an Android device and a Canon EOS DSLR camera, you should really check out the new “DSLR Controller (Beta)” app. This application allows users to control their cameras via your Android mobile device via USB cable, no PC or laptop is needed here, you do not to root and it is all very easy to use. Before we go on, you MUST remember that this application is in its beta stages and is a pre-release version, the apps main features include: Live View, Manual focus adjustments in Auto Focus mode, Zoom control, Auto Focus (tap Live View), Bulb capture, Histogram, Extensive modification of settings, Grid display, Flash Compensation, Continuous capture, plus it also contains Shutter speed, Exposure Compensation and Bracket, Aperture, ISO speed, Focus and Zoom area (tap-and-hold Live View), Picture Style, Auto-Focus Mode, White Balance, Colour Temperature, Drive Mode, Auto-Lighting Optimizer and Metering Mode. All you need to do is install the DSLR Controller app via the Android Market priced at Â£5.23, once you have installed just connect your camera, once this is done you will receive a popup will ask if you wish to open DSLR Controller, just tap the yes button. As said, you must remember this app is in its beta stage and we recommend you visit XDA-Developers, this thread contains all you need to know about the app, problems and what to do’s etc. Requirements: You will need an Android device with USB host support, Canon EOS DSLR and the correct USB host / OTG / On-The-Go cable for your device. You can also use tablets running Honeycomb have USB host support in software, Phones running Gingerbread or earlier do not officially have USB host support, however; the Samsung Galaxy S2 (firmware KG1 or newer only) does support USB host. The DSLR controller app has been tested with the Samsung Galaxy S2 (KG1 firmware and newer), Motorola Xoom, Canon EOS 550D / 50D / 7D / 5D mk II / 1D mk IV. Please DO let us know if any other camera model works with app, we would love to know what Android device and what camera you have tried to get this app working, thank you so much. the problem is i can’t install it on my s2 2.3.4 saying not compatible with my device? any one can help?